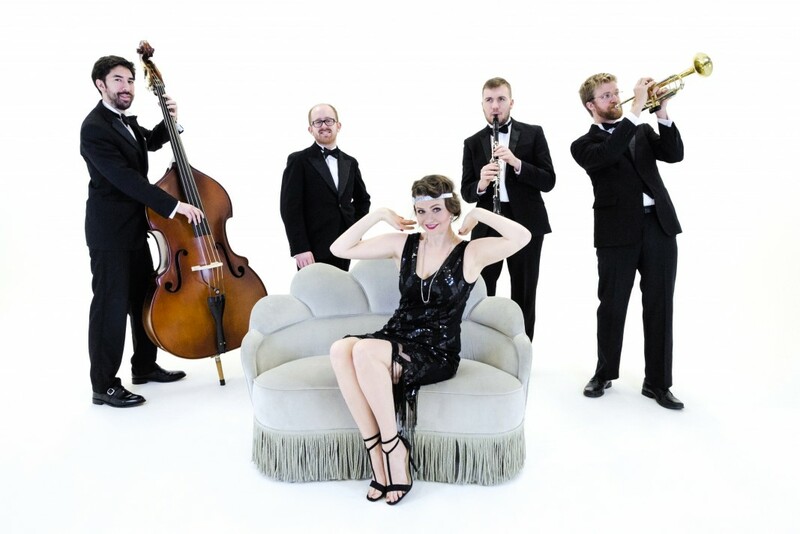 Bellini Jazz Band pride themselves on their faithful recreation of the roaring twenties, and they don't half do it with style. 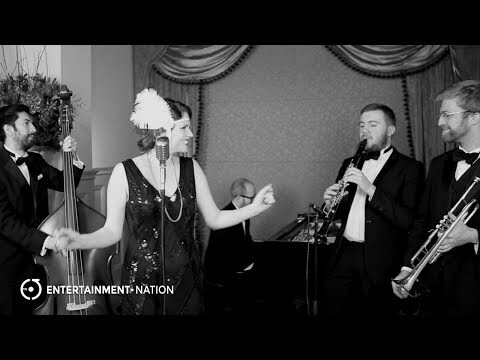 Decadence never sounded so good! 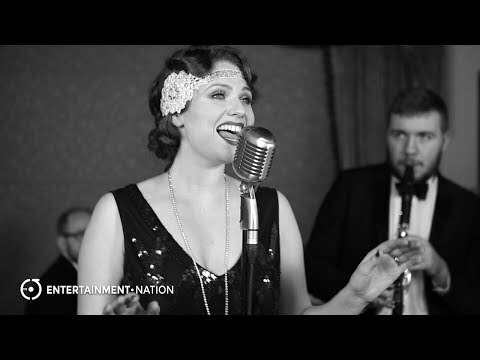 The Great Gatsby, Prohibition, and smoky speakeasy joints are all evoked in the authentic sound of this vintage themed jazz quintet. 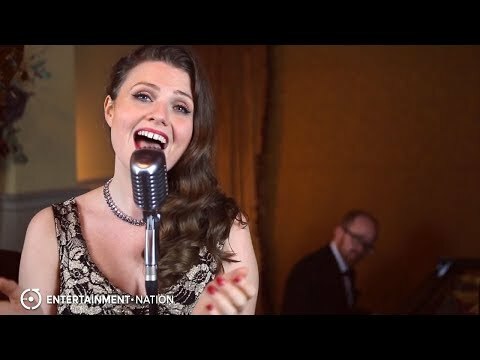 To carry off stunning performances of this quality takes gifted musicians and the members of Bellini Jazz Band have all trained at top universities and conservatoires. 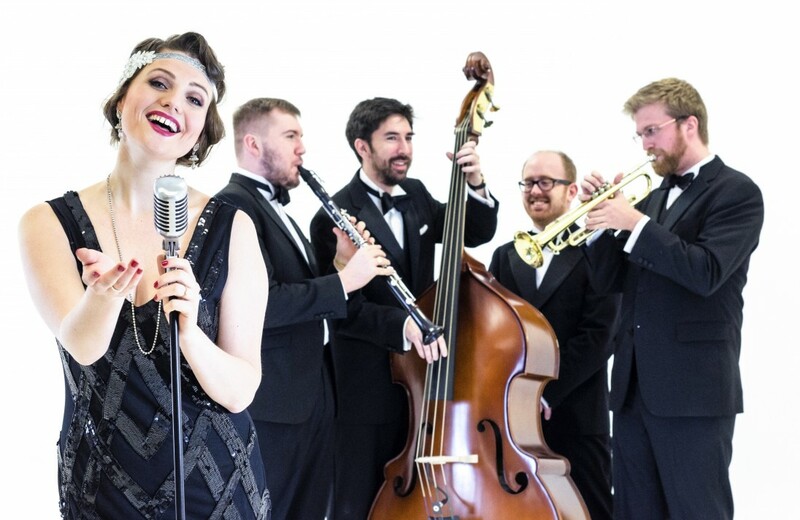 The sultry, smouldering female vocals, and perfectly synchronised piano, upright bass, trumpet and clarinet will transport you back to the world of 1920s America. 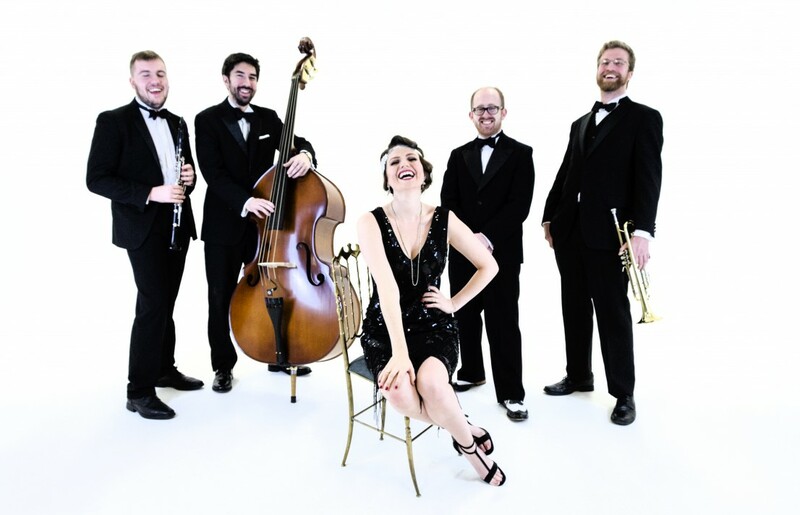 Great jazz standards like 'Puttin on the Ritz', 'Ain't Misbehavin' and 'Happy Feet' will win over any audience. 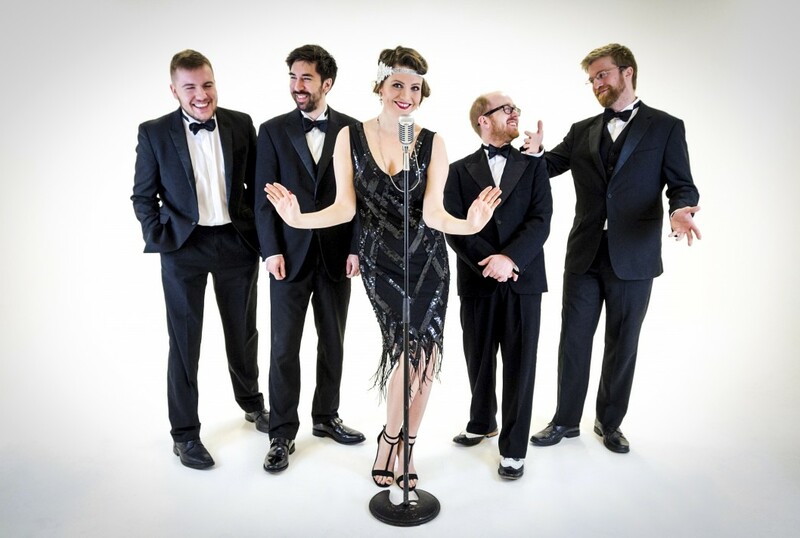 If your tastes are a bit more contemporary though, (we're talking 1950s here, which is as modern as these retro-rebels are prepared to venture) the Bellini Jazz Band have a set of 1950s Hollywood blockbusters up their sleeve, including absolute classics like 'Diamonds are a Girl's Best Friend', 'Chicago' and 'New York, New York', that will bring the house down. 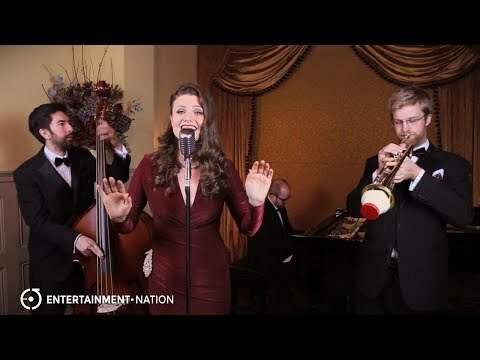 As standard, the band comes as a 5-piece, dressed to suit the theme of your party, with PA and lighting, and will play a request for the first dance. You also have the option to add drums to the line-up, book a solo pianist and request a selection of your favourite songs. 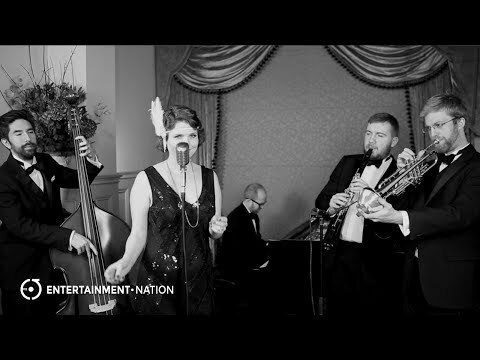 Don't pop your cork for any band you see - hire this vivacious vintage style band for your event today! Prices are inclusive of 2x45 minute sets of live performance. Approximately 60 minutes are required for the act to set up and sound check (depending on access to the performance area). 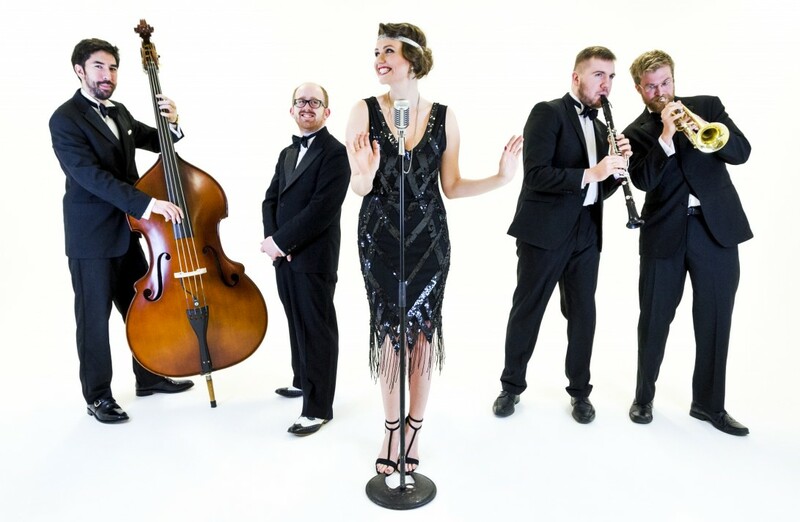 "Bellini Jazz Band were absolutely fantastic! We had so many people say how good they were. The setting up was really smooth and the whole evening went really well logistically. I really loved the set lists, and the sound was brilliant." "I know I thanked you on the night but just wanted to do so again in the cold light of day. Bellini Jazz Band were fantastic, not just brilliant at the music but also lovely, helpful and a total pleasure to work with. Thank you so much and please pass my thanks on to your team. My Mother literally had the party of her life and you were a big part of that.... you were exceptional." "You and the band were superb - especially given the massive delay before you were able to perform, and the fact that we forgot to bring the interval playlist(s)! Our guests were extremely complimentary and said they really enjoyed the band and the dancing. So thank you - and thank you for making it all so easy for us too. I hope that we get to see you perform again in the not too distant future."